Better power taps for Carrera track? I really like the products that you guys are coming out with. I feel one area of Carrera track that could be improved are the electrical connections. It would be great to have better power around the track with some custom made contacts that fit in the underside of the rail. I know a lot of Carrera track users stuff wire into the underside of the track for power taps but was hoping for a better solution with some sort of custom made contact clips. Brian, real good chance. I'm pretty sure the clips we're going to use with our new Lane Gate product should be the ticket. Carrera make their power jumper sets, but the wire is quite small and the only lengths are 5m (16ft) and 10m (32ft). We may soon be offering jumpers built to handle the higher power levels of aftermarket power supplies. Sounds good. I am mostly interested in heavy duty contact clips that provide an excellent electrical connection to the underside of the rail. It's easy enough to solder the wire to the clips. I think we would also make the parts available separately for building your own jumpers. 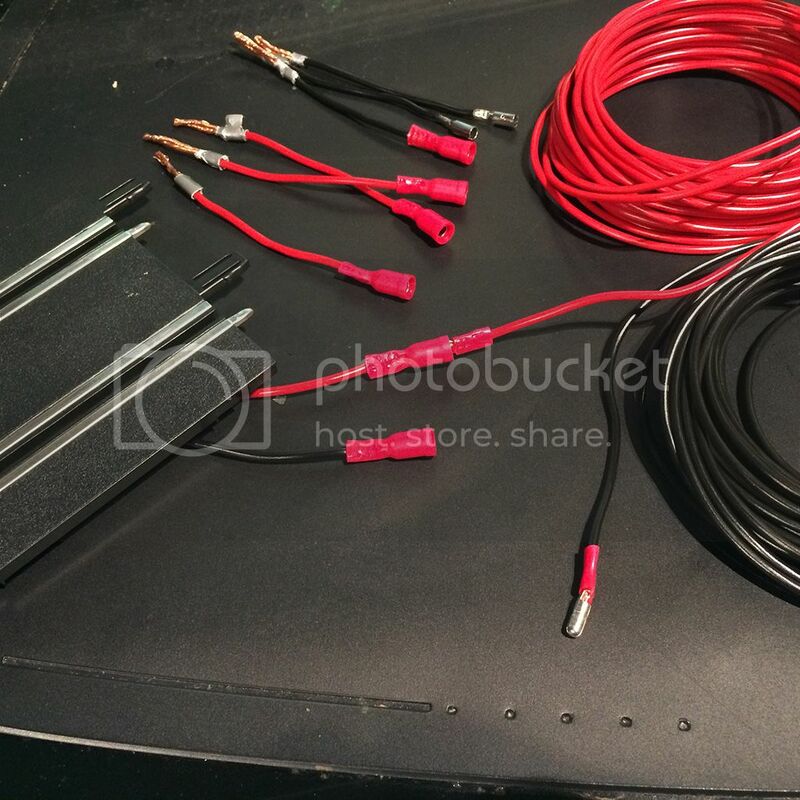 By having these "quick connectors", as I like to call it, I can install these on the track pieces I want, and leave out the cable in between untill I'm ready to connect it together. Makes the job that much easier for when building a layout. Those look awesome. I have been putting off doing my power taps cause its mostly me and my son and with just our two cars there is enough power. I know my friends have been itching to come try out my track ,so I will have to get it done. I will try and do what you have done. Any tips???? I am all ears. Not really. It's pretty much straight forward, and the picture shows pretty much all of what there is to it. 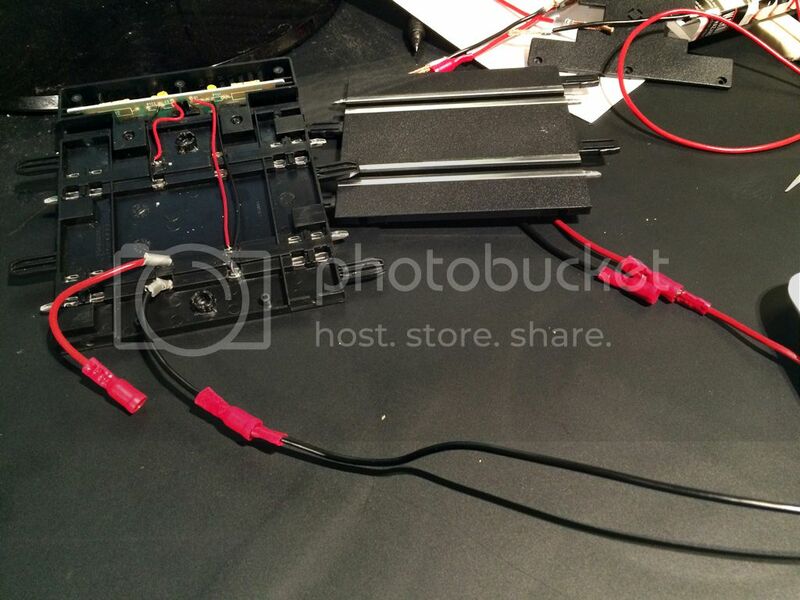 Allthough, you should meassure how long the part that is connected to the track piece should be, so the actual connector doesn't have to lay under and lift the track. And of course connecting to the correct lane, and making sure you connect +/+ and -/-. Last edited by Yawa; 10-17-2014, 09:24 AM. Any updates regarding the improved power taps? It's not been much of a priority for us lately but that could change.